Young Jobless Women Given Less Help Than Young Men. Because of stereotypical, gendered ideas about careers it seems that young women are more likely to be out of a job than young men. So says a report from the Young Women’s Trust: Totally Wasted? How Worklessness is Affecting Young Women? The found that young women are more likely to be out of work than men because of the very narrow career choices they are being funnelled into. 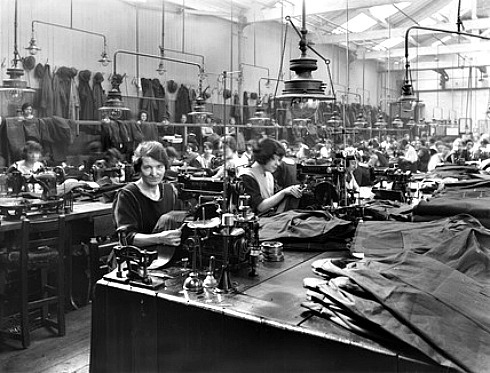 Their options consisted of care working, hairdressing, or nursing. The lads, on the other hand, are being encouraged to think about becoming IT technicians, construction workers, or electricians. The trust says there are two jobs available for every qualified construction worker yet five qualified practitioners are chasing every job in hair and beauty. Which is a contributing factor in this: 418,000 women aged 18-24 are out of work, compared with 325,000 of young men and that figure has barely altered during the last ten years. Female NEETS (not in employment or training) cost the Government £926m per annum in lost tax revenue and benefit costs, and £2.6 b in lost productivity. 95% of these young women say getting a job is important to them. The Government clearly needs to address more than inequality of representation in Government. We need one of those ‘top down initiatives’ they love to talk about. These old fashioned attitudes enshrined in practice are not helping anyone,men or women, and are frankly a disgrace in 2014. P.S It’s just a thought, but maybe Government needs to invest in a confidence building for women….? Ahem, RenewYou is my one day confidence building, aspiration raising, day to focus just on you, course for women. Available all round the country and in the US too. Thanks for the blog Jane. You are definitely right that confidence building is important. Young Women’s Trust has launched a free coaching service, Work It Out, and this is one of the things the coaches can help with but the more that can be done the better.